By donating to Stand Up For Animals, you will be helping to sustain SUFA’s mission to provide proper medical care and housing for animals, as well as outreach, education and services to the public. 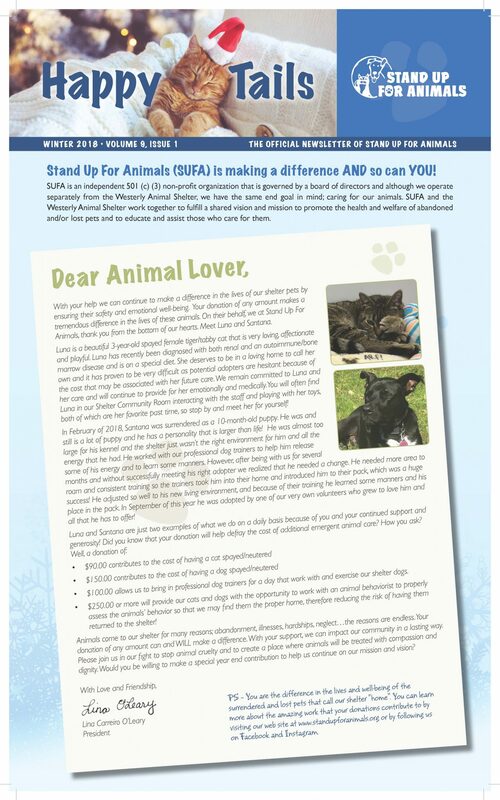 Stand Up For Animals is a 501(c)(3) charity and gifts are tax-deductible. To include a message or specific purpose for your donation, click on “Special instructions for your donation” located near the top of the donation entry page on Paypal. Please check the box to share your address so that we can acknowledge your donation. Thank you. 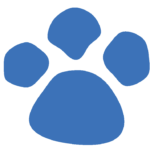 Please click the paw-print above to go to our Paypal and donate to SUFA. If you would rather not donate online, please make your check payable to Stand Up For Animals and mail to P.O. Box 1706, Westerly, RI 02891. Click on “I want to Help SUFA” to make a donation.